Retro chrome plated tables, chairs, and bar stools create a unique 1950's diner appeal. 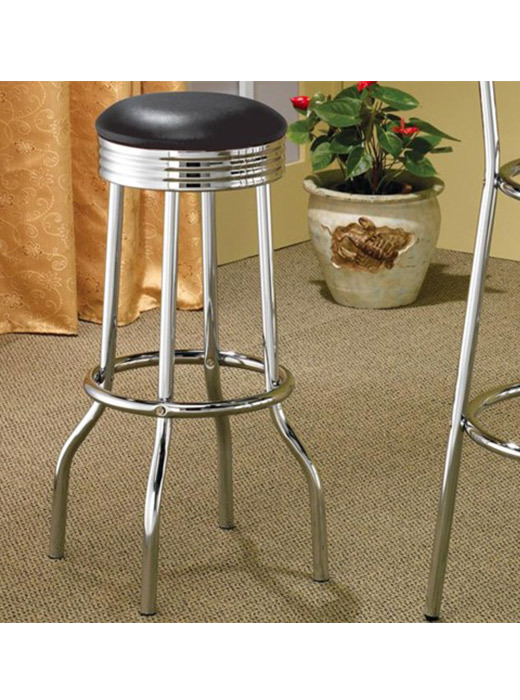 With the simple retro styling of this bar stool, create an entertaining and enjoyable sitting or dining area. The chrome plated frame and black or red cushioned seat offer a 1950’s diner appeal to complement your decor. 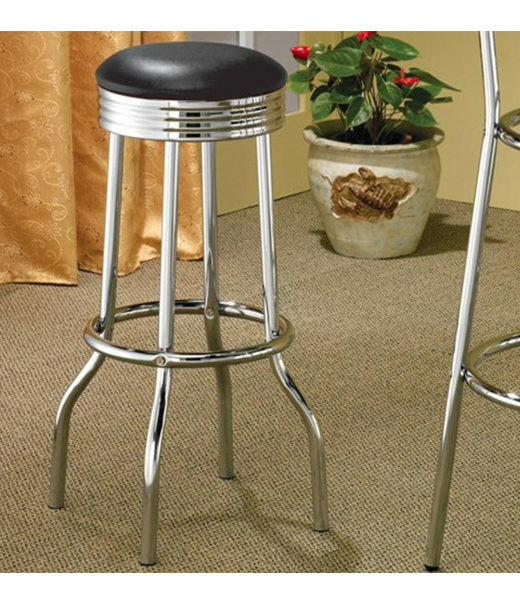 Whether you are playing a card game, enjoying a drink, or savoring a tasty meal, the relaxed designs of this pub stool will offer comfort and style. For a polished look, pair with the 50’s soda fountain bar table!